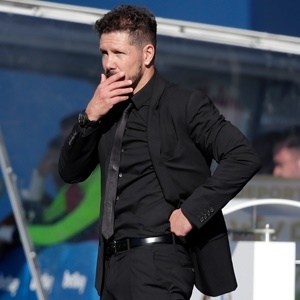 Cape Town - Atletico Madrid coach Diego Simeone believes Diego Costa's eight-match ban is harsh and has dismissed suggestions the striker could be sold in the summer. Costa was handed the lengthy suspension by the Spanish Football Federation (RFEF) on Thursday for directing a crude insult towards referee Gil Manzano during the first half of Atletico's 2-0 defeat to Barcelona last weekend. "It's bad news," Cerezo said. "The natural thing is for us to appeal, to ask for leniency and see what happens.